As a business owner, having to choose your financial advisor is such an important step you need to take. Take the time to choose the right one. You can possibly make a vast amount of wealth through making the right investment decisions. You can also save money by having it in the right places. However, make the wrong choice, and you could be left with a very expensive mistake. Some of those mistakes could even have legal complications. Today, we’re going to explore the five steps you need to take in order to make the right decision the first time around. The first step you’ll want to take is to make sure that you actually need a financial advisor in your business. Otherwise, it’s just going to be a costly mistake. In some cases, you may just need general help with budgeting or managing your debt, but you don’t need to pay for an advisor for this information. If you’re handling a significant event in your life, planning to invest, to save, or dealing with a legal finance problem, this is when the help of an advisor will be beneficial. If you do need an advisor, next, you’ll want to choose what kind of service you want to invest in to make this a budget-friendly decision. For example, will you need help for a single one-off situation, or are you planning to receive assistance long-term? 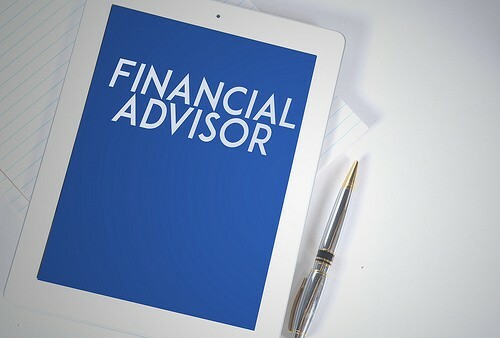 Many financial advisory services, such as www.EquifyLLC.com, will offer a range of different services that cover both bases, so it may be worth asking for a tailor-made service to suit your needs. There are two types of financial advice you can opt for: restricted and independent. These are pretty self-explanatory. Restricted advisers will only be able to tell you about a certain number of products or services on offer, usually working for a bank or financial institute. An independent advisor is usually a middleman between services and will be able to research all the various services available, and they can provide you with the best option suited to you. While independent advisors can be more informative, they can also be more expensive. When you’ve decided exactly what kind of financial advisor you want, you then want to start looking at which advisors are out there to help you, and how much they are going to charge you. The best idea here is to make a shortlist of all the advisors you might want to work with, as well as the price they’re charging. Once you’ve made your shortlist, then go through each advisor and check out their testimonials and reviews. You’ll want to make sure the reviews are recent (typically within 1-3 months) and highly rate the service. The best service you can find for the best price is sure to give you a financial advisory experience that you’ll be happy with. And there you have it; five steps to finding the ideal financial advisor. Finding the right person for the job doesn’t have to be a long-winded process, but it’s better to take your time to make sure you’re making the right decision.